Please click here to make a one-time or monthly donation via PayPal. This is a very secure process. The green padlock that may appear near the URL means the VZC site is fully encrypted, giving all your information an added level of protection. To send an Interac e-transfer from your bank account, (also secure, and minus the receiver service fee) please get in touch to receive an email address. You can also donate by buying a bike / helmet / laptop / whatever sticker multipack from one of these fine retailers. If there’s no retailer near you, buy a set of multipacks and hnad out some samples to retailers who might be interested! Because Vision Zero Canada devotes more than 10% of activities toward advocacy site we cannot provide tax receipts. 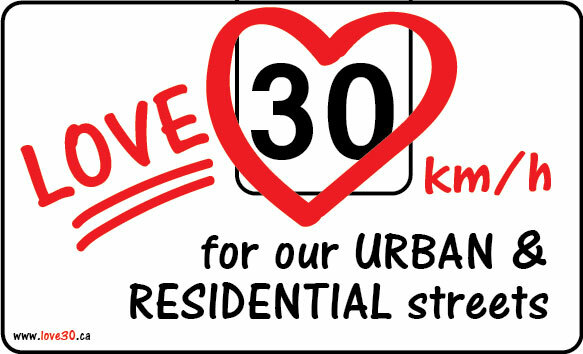 Vision Zero Canada and the sister site Love 30 Canada advocate for the elimination of road violence and an increase in active mobility on Canada’s streets. 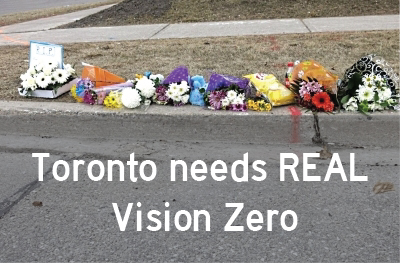 Visit this timeline for a history of Vision Zero Canada’s success in changing the conversation around Canada’s safety policy. VZC is an important voice in the media including TV, radio and newspapers. The regular Twitter feed informs Canadians about developments nationwide, and best practices worldwide. VZC ED Graham Larkin is also editor of the Drop the A Word campaign, and creator of the Slow Ottawa / VZC Pinterest boards with 12,000 global followers. A donation of $30 will entitle you to a weatherproof bumper / bike / helmet / bin sticker for every $10 donated, and the option of a listing on the Sponsors Page with a link to the site of your choice, through December 2018. A $50 donation will entitle you to six (6) bike sticker multipacks, with a resale value of $10 per pack. Each sticker packs come complete with a description of the VZC mission, helping you promote the cause in stores, classrooms and events. When you donate via Paypal or bank transfer you will receive an email confirming receipt, and inquiring about your preferences including sponsor page recognition and sticker choice. A donation of $150 or more will entitle you to a banner on the sponsors page, through December 2018. If we each give a little it will add up to a lot, so thanks for anything you can donate to make our streets safer!